The Pioneer TORAIZ AS-1 Monophonic Analogue Synthesizer is the latest addition to the TORAIZ series of electronic instruments. Pioneer have joined forces with Dave Smith, the legendary maker of synthesizers, to create a synth for music production and live performances, based on his iconic Prophet-6 synthesizer. The TORAIZ AS-1 makes an ideal addition to the set-ups of professional and aspiring producers. 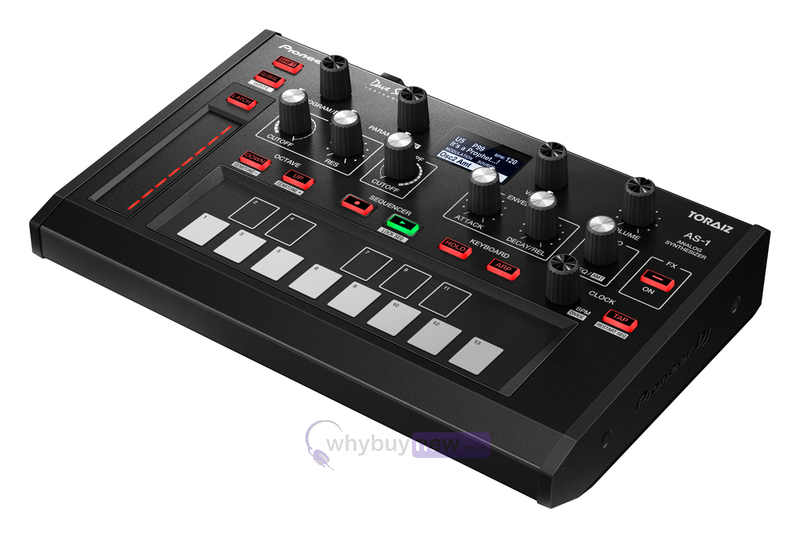 The second musical instrument to the TORAIZ range, the AS-1 is a monophonic analogue synthesizer that brings new creative possibilities to the studio and the stage. Its intuitive controls include parameter knobs that let you make both subtle and dramatic changes to the tone of your music to create your own personalised sound. Plus you can use the touchpad-style keyboard and slider to manipulate sounds during performances. Create even more complex patterns by connecting the TORAIZ AS-1 synth to the TORAIZ SP-16 live sampler via MIDI. 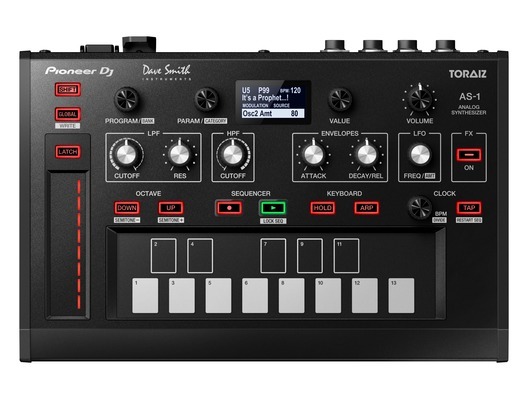 Or take it to the booth and connect the sampler to your DJ setup via Pro DJ Link: The CDJs play the track, the TORAIZ SP-16 adds loops and one-shots, and the TORAIZ AS-1 generates unique analogue leads in sync with the BPM of the music. Here we have the Pioneer Toraiz AS-1 Monophonic Analog Synthesizer in brand new condition and in B-Stock. 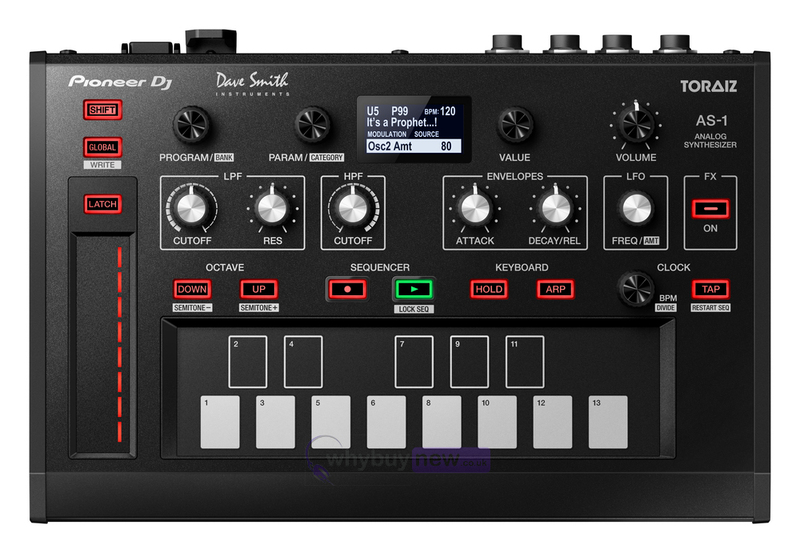 The B-Stock versions are manufacturer refurbished and come direct from Pioneer DJ. They will come boxed 'as new' with all accessories and a 1-year warranty. Dimensions (W?D?H): 267.4 mm x 177.7 mm x 68.6 mm / 10.5" × 7.0" × 2.7"